PETE OXLEY & NICHOLAS MEIER’S sensational guitar duo, playing an exhilarating mix of their own compositions and ‘standards’, displaying their mind-blowing techniques on a variety of different exotic instruments - a visual treat in itself. STOP PRESS! 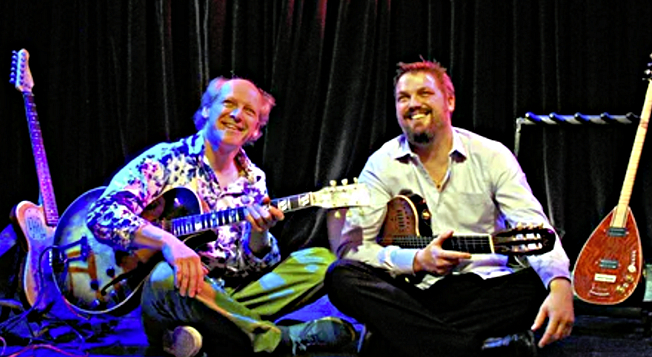 Pete and Nick are joined tonight by guitarist Rohan Byrt who brings his own special magic to the gig.